Need an idea to spice things up on the grill this summer? Chef Paul Fehribach, the co-owner of popular Chicago restaurant Big Jones, has your answer. He's even offering up some of his best grilling tips! Outdoor grilling can be more than just throwing some meat on the grill. 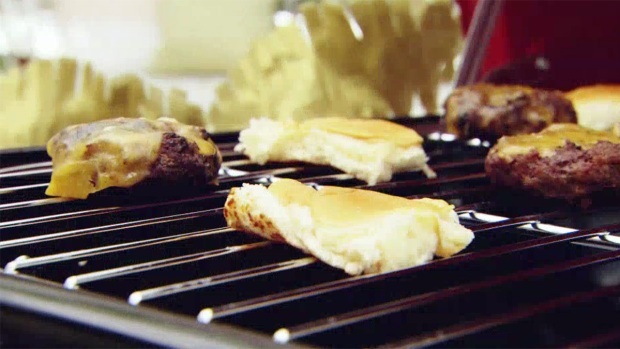 Jamie Krell, lifestyle expert, shows you some ways you can get creative at your next barbeque. What better time to amp up your grilled cheese skills than on Grilled Cheese Day? 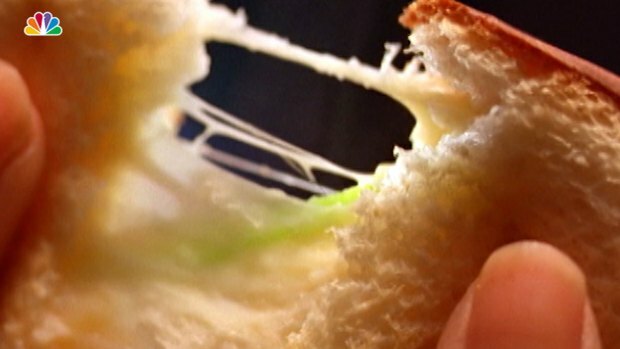 NBC talked to Wisconsin Cheese to get the best tips for the perfect grilled cheese sandwich. In a small mixing bowl, combine the ground beef, Worcestershire, salt, and pepper and mix until combined. Shape into four patties of equal size, ½ inch thick and about 4-1/2 inches round. Cover with plastic wrap and refrigerate until you're ready to grill. Spread butter on the inside top and bottom of the buns, and toast in a cast iron or non-stick skillet until golden brown. Place in a low oven to warm until you're ready to assemble your sandwiches. Fire up your grill and when the coals are ready to cook, spread the mayonnaise evenly over the toasted buns, and garnish the top bun with a generous amount of butter lettuce and as many sport peppers as you would like. Spread the onion on the burger patties and gently massage into the meat, holding the shape of the patties. Place the patties on the grill and cook two minutes on the first side. Flip the burgers and cook to 130 degrees for rare to 155 degrees for well done with a digital instant-read thermometer. Remove from heat, crumble the pimiento cheese over the patties, and place them on the bottom buns. Serve one bottom bun and patty with each top bun and accompany with mustardy potato salad or vinegary chips. Place the mayonnaise, cream cheese, and red pepper in a 4-quart mixing bowl and use the back of a wooden spoon to mash together until smooth. Work in the hot sauce and Worcestershire, then add the pimientos, cheddar cheese, and kosher salt, and toss as if it were a salad—by turning from the bottom over the top: you’re looking for a light mixture, not a dense, pasty one. Once everything is evenly distributed, taste for seasoning and add more salt or hot sauce to taste. Cover and refrigerate at least 4 hours before serving or up to 1 week. Charcoal gives the best flavor - be sure to use 100% hardwood charcoal and avoid any that come with built-in flavors. If you like wood smoke added, use hardwood chips available in the grilling section of most hardware stores. It's best to take your time and relax when you grill outside - go easy on the lighter fluid and take time to build your fire, you'll avoid more off-flavors when the fire settles, and you have red hot coals to cook over. Never cook directly over a live flame - it's not only dangerous but can also cause singed flavors, which no one likes. Take your time, let the fire settle, and when you have evenly hot coals, spread them into an even layer with a fire iron or long-handled tongs and get cooking! When you take foods off the grill, they continue cooking for 3-5 minutes, as the hot surface radiates heat into, as well as away, from the item you've cooked. So, if you're looking for a medium burger or steak (140 degrees) remove it from heat at medium rare (135 degrees) and let the meat rest five minutes before serving. Even well-done meat can be quite juicy if removed from heat at 155 degrees and allowed to rest and finish cooking itself, it will reach 165 degrees by the time it settles. Never, ever mash a burger, or any other meat, during cooking unless you want a dry, mealy piece of meat. Leave the juices alone!